January, 2012….New Roads, LA – Flextone Game Calls, the industry leader in game call products, introduces their New ECHO HD 80 electronic call. The ECHO HD 80 is a more advanced electronic call with features that will drop your jaw with realistic animal sounds. The ECHO HD 80 comes pre-loaded with 80 high-definition calls and is programmable giving you the perfect hunting scenario. 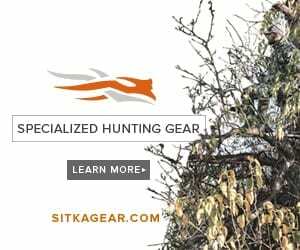 The pre-loaded categories include bear, bird distress, bobcat, cougar, coyote, crow, elk, fox, hog, moose, owl, prairie dog, rabbit, raccoon, snow goose, squirrel, turkey, whitetail deer and wolf. The innovative ECHO HD 80 features a large backlit LCD screen with 2 high quality non-distortion speakers that spin over 360 degrees giving a natural realistic sound. The handheld remote activation is included for the perfect set up and can be activated up to 300 yards away. The handheld remote comes with a docking station in the base unit for recharging for even further ease of use. The ECHO HD 80 is water resistant and rubber coated making it the perfect call in all weather conditions and quiet in the field. About Flextone: Flextone Game Calls was established in 1997 when a single piece of surgical tubing was transformed into a lifelike sounding duck call. Animals produce sounds that flow through their soft tissue anatomy. Sounds generated from the voice box travel and articulate through vocal cords. These sounds travel upwards through the wind pipe and esophagus, around the tongue and out of the mouth, producing sound. The soft, flexible chambers in which sounds are evoked are extremely important for production of true natural sounds. Flextone Game calls are designed with a soft flexible passage chamber to mimic the anatomy of mammals and birds to produce these truer, more natural sounds. Flextone has a full line of deer, predator, turkey and waterfowl calls using this patented technology. The more natural the sounding a call is, the better animals will respond to it, and the more success you will have in the field. Flextone Game Calls, designed by nature, Flextone engineered. For more information on Flextone® Game Calls please visit www.flextonegamecalls.com or call 877.993.4868.